analysis of new changes in the arbitration rules of major international organizations. With its in-depth exploration of techniques for smoothing the negotiation process and term-by-term guidance in drafting contracts to cover a wide variety of business relationships, from services to licenses, franchises to joint ventures, this book stands alone among contract drafting guides and has proven its enduring worth. In its recognition that a business executive entering into an international commercial transaction is mainly interested in drafting an agreement that satisfies all of the parties and that will be performed as promised, this superb functional guide for negotiating,drafting, and resolving disputes in international commercial agreements will immeasurably assist any lawyer or business executive to plan and carry out individual transactions even when that person is not interested in a full-blown understanding of the entire landscape of international contracts. Business executives who are not lawyers will find that the book gives them the understanding and perspective necessary to work effectively with the legal experts. Part One: Negotiating and Drafting Commercial Agreements. Chapter 2. Sources of the Law of International Commercial Agreements. Chapter 3. Planning International Commercial Agreements. Chapter 4. Drafting International Commercial Agreements. Chapter 5. Negotiating International Commercial Agreements. Chapter 6. International Electronic Commerce. Chapter 7. International Intellectual Property and Licensing Agreements. Part Two: Resolving International Commercial Disputes. Chapter 8. The Less Drastic Forms of International Commercial Dispute Resolution. Chapter 9. International Commercial Arbitration: Commencing Arbitration, Arbitration Hearings and the Arbitral Award. Chapter 10. International Commercial Arbitration in the Courts. 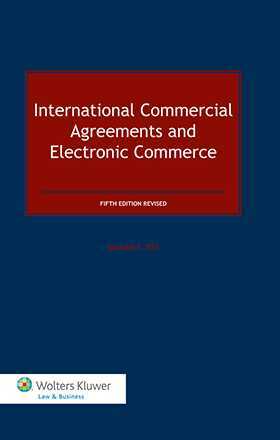 Chapter 11. International Commercial Arbitration: Special Regional Considerations. Chapter 13. Electronic Commercial Dispute Resolution. Chapter 14. Future Trends in International Commercial Agreements and International Commercial Dispute Resolution.